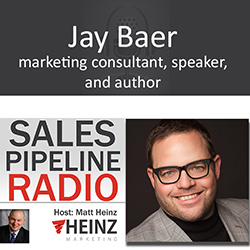 Guest Jay Baer, to most, needs no introduction. We know he helps business people fundamentally rethink their approach to marketing and customer service, helping them gain more customers and keep those they’ve already earned. Jay and Matt talk about Jay's book"Hug Your Haters"